Buying one of your first wakeboards is exciting. It's a big step forwards to enjoying an exhilarating sport. But it's also a little confusing - finding the best wakeboard for beginners amongst the many options isn't always easy. Don't worry, Sniff has you covered. We've put together this review guide of starter wakeboards to give you a selection of the top 4 on the market. Our top tip? Don't go cheap - trust us, you'll notice. Consider it an investment for the long-haul. That said, while it is important to opt for quality, make sure this is a sport you're going to stick with. Difference Between Wakeboards and Wakeboard Packages? What Size of Wakeboard Should I Get? How Important is the Rocker? *On mobile, swipe to see all products. Star rating based on the view of the editor. When it comes to ticking the right boxes, we recommend focusing on quality and a balanced board. We'll go into this into a little more detail further down the article, but keep the following in mind: you're looking for a stable and balanced ride. It may sound a little boring, but it guarantees you'll be able to stay up for longer than a few seconds! We've decided to keep our best starter w​akeboard review products in the $200-$300 range. This seems to be the 'sweet spot' for the requisite minimum product quality. More expensive ones are usually only suitable for intermediate or expert wakeboarders anyway. When you're learning the ropes of the sport, good beginner wakeboards will be forgiving since you're still going to be unstable on your feet most of the time. One which is too stiff will make it much hard for you to land a jump. Size isn't hugely important, because it largely depends on the weight of the rider. That said, the best size of wakeboard for a beginner might actually be one with a larger surface area. A bigger one will make starting easier and should provide a bit more stability. When you are picking your first wakeboard, you should also take progression rate into account. If you're about to take up the sport and practise it consistently, you'll definitely progress pretty quickly. If you think this is you, we recommend that you opt for a more intermediate board so that you don't outgrow it too soon. The Hyperlite Agent offers the perfect blend of stability and pop. That, among other reasons, is what makes the board an excellent purchase for beginners, yet leaves room to grow as a wakeboarder. The build of the board lends itself well to most beginner and intermediate riders. It sports a subtle 3-staged rocker which means that it is forgiving and stable, yet still provides a decent pop off the wake with good maneuvrability. When you ride this, there is a sense of controllable speed which can be credited to its edges and overall build. The bindings provide the comfort every riders wants without sacrificing responsiveness and that needed feeling of control. There's a single cinch lacing system which speeds means you can slip the boots on and off with ease. Similarly, the Ronix Vault also sports a mellow 3-staged rocker, however, it is an 'early rocker'. This means that you might not get the same explosive pop but will benefit from added stability and reliability when cutting into the wake as well as an easy take-off. In turn, this will give you the confidence to approach the wake aggressively time and time again, which can be just as useful as an explosive pop. ​Although this is good for beginners, it is probably best suited to those who have some experience riding, rather than a first-timer. This is largely due to the asymmetrical design of its rails which lends itself better to those who are beginning to get a sense of toe side/heel side control. Straight off the bat, this board is an excellent fit for first-timers as well as keeping intermediate riders satisfied. The hybrid (progressive) 3-stage rocker provides smooth and stable tracking yet delivers are powerful and controllable pop off the wake. This makes it ideal for those who are just learning wake jumps. ​The edge and fins have been designed to inspire confidence in a new or inconsistent rider, allowing a greater feeling of control and grip on the water. The center fin is removable, meaning you can totally transform the way the it rides, adjusting it to individual needs. The hull of the board is double concave which ​means that your landings will feel soft but you'll also maintain acceleration and pop. 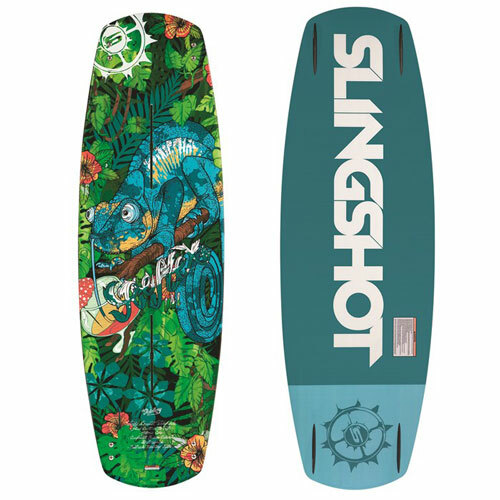 The Slingshot Reflex is simple and effective, leaning towards intermediate, verging on advanced, cable park riders. A medium to soft flex allows for an impressive pop off the press. The flex in the board can be attributed to its laminated wood construction. You'll experience explosive pops as well as forgiving landings; a cable park rider's dream. The 2017 model has benefited from a few new features. One of the most significant upgrades is the introduction of a Ballistic Park Base which has been built to withstand a good old beating on all sorts of surfaces. This is another reason the wakeboard is so popular among park riders. The Ronix District Park wakeboard has been built with the cable rider in mind, although it is also suited to riding behind a boat. At Sniff Outdoors, we're big fans of boards which provide versatility and stability to the rider and this one does just that. Sharp center rails allow you to transfer from edge to edge faster as well as being more stable in choppy water. Not only that, but the side walls on the tip and tail have been designed to make the rider sit higher on the water, generating greater speed. We've looked at many boards that sit you higher in the water and one consequence is that they often lack grip and are too uncontrollable. The Ronix District Park features G&R (Grip and Release) technology i.e. channels which combine good traction and control without causing excessive drag. We were intrigued to learn about the rocker line. Typically, a company will segment its boards into "continuous" or "3-stage" rockers. This one boasts a versatile rocker and the idea is that it gives you the best of both worlds. Transferring from edge to edge, you'll get a smooth and speedy response - what you'd expect from a continuous rocker. The pop is explosive and upright which makes it feel like a 3-stage. All in all, we've selected this as one of our 'best overall picks' because it is suited for all ability levels, providing a excellent riding experience in varying conditions. The board delivers impressive stability yet doesn't suffer with a lack of versatility. This won our 'best cheap (but still good) pick', offering excellent value for money and perfect if you're new to the sport. The O'Brien System wakeboard is well-known for being fantastic for entry-level or early-intermediate riders. This, in part, is due to its continuous rocker which makes your ride more predictable and forgiving. Another reason that this is a top pick wakeboard for beginners is that it sports double channels. The channels are designed to provide extra grip on the water. Although this causes more resistance, it's exactly what you need when you're still finding your feet. One of the trickiest skills to learn when you're new is approaching and jumping the wake. A bit like Bambi, your balance is going to be all over the place and you need something which delivers consistency and predictability. That's exactly why this board has made it to our list. The continuous and consistent rocker gives the rider the peace of mind that each approach and pop off the wake will feel similar, enhancing your progress. If you fall in (and you will) then you can be confident that this wakeboard will see you getting back up on your feet time and time again. It has a super buoyant foam core which makes getting up out of the water feel like an afterthought. We'd recommend this peoduct for anyone who is completely new or nervous about the sport. It is ideal for the inconsistent rider or for those who know they'll not manage to get out and practice every other day. The size listed in the link is a 135cm but other options are available through Amazon. Just search for "O'Brien System 2017". Before you buy your first wakeboard, you should (or you may already) know that wakeboarding requires persistence. It's a fantastic sport and with steady and consistent practice, you'll progress in no time. That's why it's also important to consider the type you're buying when you're new to the sport. Of course, you could buy a complete beginner board and quickly grow out of it. Assuming you'll progress, you'll want to buy a board which is suitable for both beginner and intermediate riding. So, what does that mean you should look for? You need something which will be forgiving, yet allow you to progress when you begin to attempt your wake-wake jumps. From there, you'll be comfortable landing and won't need a board which is quite forgiving. The board you choose also really depends on your riding style, as you become more advanced. For example, many people like to cut in hard into the wake for a big pop. This kind of rider will need one with a fast edge. Others enjoy surface tricks and might mainly ride cable parks. For this, a stiffer and less forgiving board is better. In order to produce this review guide, we spent countless hours reading real, first-hand reviews of wakeboards used by beginner, intermediate, and advanced riders. We have included wakeboards from some of the most recognized brands in the word, simply because there is a reason they've made a name for themselves. Although choosing a product largely comes down to individual preference, we tried to include a range which would suit first-timers as well as catering to those who are progressing quickly in the sport. It can be tempting to opt for a complete beginner board, however, it is wise to choose one which will also allow you to advance your skills. In an effort to narrow our focus, we deliberately haven't included every single option out there. We wanted to produce a 'go-to' list that didn't overwhelm new riders. That said, there are different options if you're someone who likes to do their own research into the top wakeboarding brands. In this sport, you see the same names cropping up over and over, for good reason. 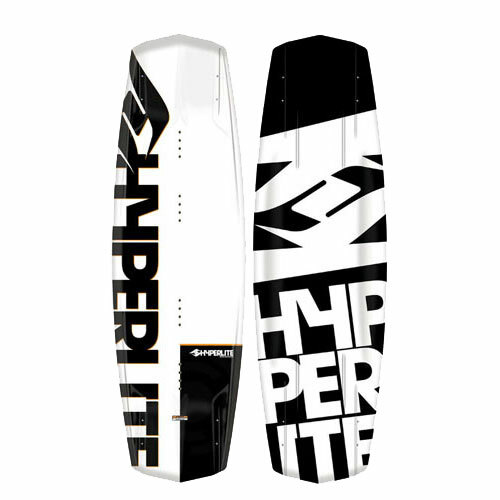 The ultimate blend of style and performance, Hyperlite is a well-respected brand in the wakeboarding scene. Hyperlite was founded in 1991, coming out with the first ever compression-molded wakeboard which made riding behind a boat even more fun. Not know solely for being a prominent figure in the board market, the popular brand also produces top of the range bindings. Their expertise along with their famous slim build make Hyperlite a reliable brand. 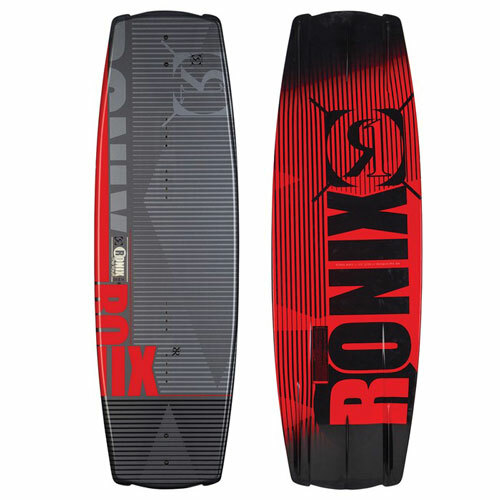 Although Ronix is somewhat a new brand (born in 2005), the gain no less respect than any other of the leading wakeboard companies. In fact, it was actually developers from Hyperlite who started the company. 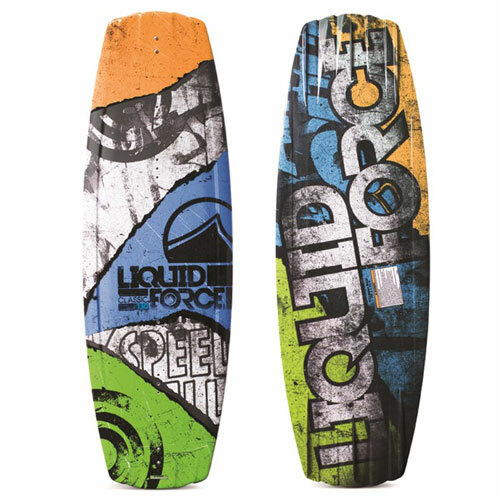 Liquid Force has been around from the early days of the sport, founded in 1995. These days, it is one of the most trusted brands around, not just for boards but also for apparel. The two founders, Tony Finn and Jimmy Redmon are often credited as being the pioneers of the sport. The company carries this innovative mindset to its board production, resulting in equipment that constantly puts the rider at an advantage. O'Brien has a long-standing history in water sports, having been around for over 50 years. The company constantly brings together new technologies and a touch of style to deliver wakeboards that top riders love. Importantly, O'Brien aims to attract more people to wakeboarding. One of their ways of doing so is ensuring that their products are priced at an affordable rate. Considering their background and influence, you won't be seeing this brand disappear any time soon. Body Glove's story started in 1953 with practical wetsuit design and production. Nowadays, they're a leading brand known for the boards, SUP boards, wetsuits, and vests. Heard of the phrase "fits like a glove"? Bob and Bill Meistrell claim that one. From a young age, the two brothers have been on a mission to produce one of the best water sports brands in the world. To us, it looks like they've done just that. As in the name, a wakeboard is simply just that and it won't come with the boots. A wakeboard package includes the bindings too. Not sure what bindings are? They're the boots that go with a board. Unlike in waterskiing, the bindings aren't fixed to the board. You can remove and interchange them, dependent on what you find comfortable and the style you want. This will also help you find ones that fit your foot well. The first product in our reviews above is actually a wakeboard package. We included it in this review section simply because it's excellent value for money and rivals the cost of other wakeboards on their own. All of the other reviews on this page are for wakeboards only, however, if you follow the link through to Amazon, the relavent package is often a suggested product. Eek. Unfortunately, choosing the correct size of wakeboard isn't like picking a helmet i.e. what fits? Once you progress in the sport, you will begin to realize that choosing a wakeboard will primarily boil down to what suits your riding style. For starters, you should aim to base the size off your weight, beyond anything else. It's a bit of a myth that height comes into the equation - although it can make a difference, there's no need to pay too much attention to it. Each specific brand has their own sizing guides and unless you already know what you need, you should refer to this. ​As a general rule, longer boards make it easier to sit on top of the water and provide a more comfortable landing. They can be harder work in the air and not as maneuverable. ​The rocker of a wakeboard is an easy way to describe the shape, or curvature, of the base. So, if you were to lay the wakeboard flat on the ground, does it lie flat? If not, how much does it curve of the ground? How steep/sharp are the curves? The style of rocker on your wakeboard affects how it performs when jumping, transitioning from edge to edge, and board speed. This is why it's important that the rocker is suited to your riding style and ability. For beginners, you're better off going for something between a continuous and mellow 3-stage rocker. This type will make riding feel smoother and more importantly, the pop will be far more predictable. Carving is going to feel like a breeze! If you're looking for faster acceleration, then you should opt for a wakeboard that has sharper edges. Usually, though, we wouldn't necessarily advise sharp edges to beginners because it is far easier to catch an edge and end up in the water. Intermediate riders can consider variable edges which offer a happy medium. On this type of wakeboard, the middle has a different sharpness, usually rounder, than the tip and tail which are sharper. ​With variable edges, you'll still get decent traction for building up speed but you'll also have a certain degree of forgiveness - ideal for progressing beginners or advanced riders. As a beginner, you should go for something with longer and deeper fins - it will give you much more stability and stop you from feeling too 'slippy'. ​As you progress, you can remove fins which will come in handy as you begin to learn surface tricks. Making sure you have the right stance is everything but again, there's no exact science - it comes down to personal preference. If you get the stance and set up wrong, you will soon notice it when you're out riding. Wakeboards come with pre-drilled holes for you to be able to adjust the boots to your liking. A beginner wakeboard stance is often slightly off-center, with the weight veering more to the back of the board. In turn, this puts more weight on the back fin which will help you to navigate easier. The back boot should be fitted at zero degrees i.e. facing forwards and as far back as you can make it. The front foot should be angled towards the front of the board, between 15 and 30 degrees of an angle. The width between the two bindings should be slightly wider than a natural shoulder-width stance. As you progress towards an intermediate level (or you may like to do this from the get-go) your bindings should be positioned more symmetrically and over the center of the board. This will make tricks easier and allows you to have more control when riding switch. Don't worry, it's not just you - all beginners struggle trying to get into boots for the first few times. It doesn't help that there are so many different kinds of bindings and fasteners, so if you've never owned any yourself, then it'll take a bit of getting used to. Firstly, get the boots and your feet wet - this will make it much easier to slip in! Loosen the boot as much as you can and step your foot in, leaning against someone if you can. If you're still struggling, use a biodegradable lubricant to help slip in (but make sure it's not soap because this will dry out the material). These days, wakeboarding isn't just confined to being pulled behind a boat. The sport is far more accessible than ever, particularly for entry level riders. Gone are the days where you needed to beg your friend to take you out on their boat! Let's take a look at the options available to you and what this might mean for your style of riding and board choice. This is the most traditional form of wakeboarding an can be done either on a lake or in the sea. In fact, this is of course where the sport got its name. The most notable aspect of wakeboarding behind a boat is the wake. 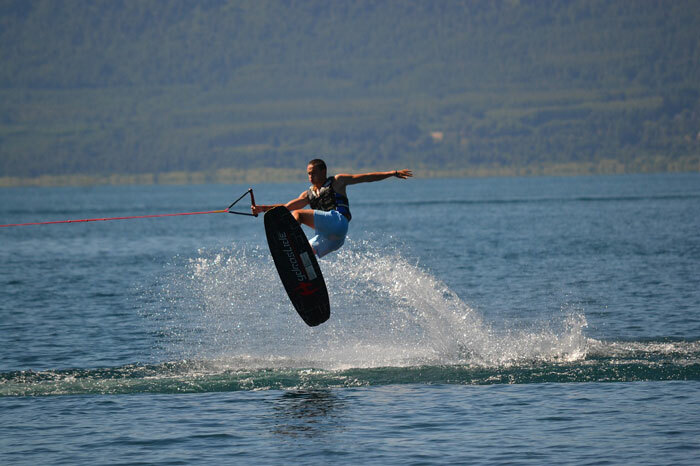 Wakeboard boats are specifically designed to produce a good wake for jumping and performing tricks. Additionally, each wakeboard boat has a tower which is where the tow rope is attached. This gives the rider an elevated point of tow, allowing them to achieve a higher jump and stay in the air for longer. Cable parks have helped to make the sport far more accessible and they're one of the reasons wakeboarding has amassed such popularity in recent years. Riding at a cable park comes with many advantages but the primary advantage is that you don't need a boat - saving you money! ​You'll either find yourself at a park which has 4/5 cable towers or is a 2-tower system. Cable parks with 4-5 towers will pull the rider in an anti-clockwise (but sometimes clockwise) direction. Often, they are capable of pulling more than one rider at a time, so if you fall, you'll need to swim out the way. The truth is, there isn't really any such thing as a 'beginner' or 'advanced' board. The real difference is in the rider. We call them beginner wakeboards because generally they suit the beginner riding style; unstable and will probably go over on your edge. As you become better at it, you don't need a board that is so forgiving of your wobbles. Anyone can ride any board and as you progress in the sport, you'll soon begin to figure out which wakeboard is best for you. Don't forget to check out our wakeboard size chart, which will also help to point you in the right direction.